The Provincetown Fast Ferry is a great way to enjoy Cape Cod without a car or traffic. 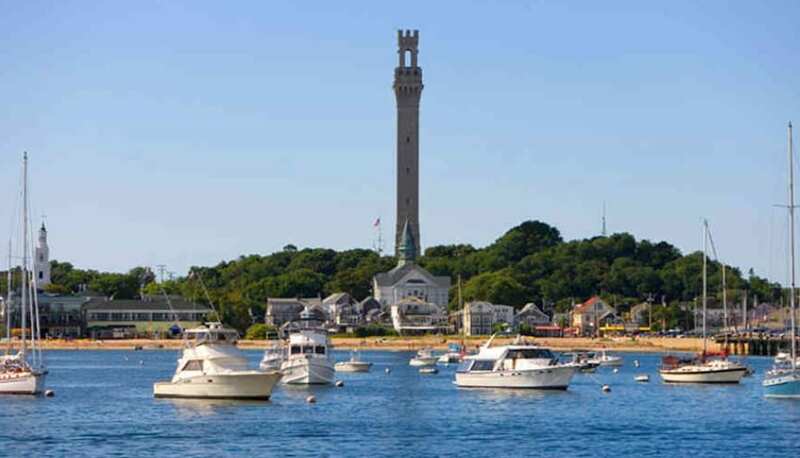 The ferry leaves from Boston and arrives in Provincetown in 90 minutes! Regular price ferry tickets are $93 for adults roundtrip and $65 roundtrip for children ages 3-11. One way tickets are $61 per adult and $39 for children. However, there are a few ways to save on the ferry ride to Provincetown. If you go often, a 10-ride pass is available for $400 and the pass can be used for up to two people at a time. Goldstar Boston also has discount tickets to the Provincetown Fast Ferry available on Mondays, Tuesdays, and Wednesdays from now until October 8, 2018. Discount ferry tickets range from $48.75 (for kids 3-11) to $69.75 for adults + the cost of service fees. You must reserve these discount passes from Goldstar in advance. Viator is also another option for tickets; however, they are selling at full-price. If you are a first-time visitor though, you may see a little pop-up for an offer for 10% off tickets or something similar at Viator.com. You can also sign up through a referral link for a free $10 credit if you’d rather. The discount isn’t huge, but sometimes an extra 10% off can still help, especially if you were going to pay full-price anyway. Groupon also releases discount tickets every year in Mid-May, but they usually go fast. However, there are currently discount tickets from Plymouth to Provincetown starting at $36 for one round-trip ticket on Groupon if you are looking for an alternative and don’t mind the drive to Plymouth for the ferry! Have you taken the ferry to Provincetown before? What is your prefer method to travel to Cape Cod?